Pixie dusted panels | Sew Lindsay, Sew! 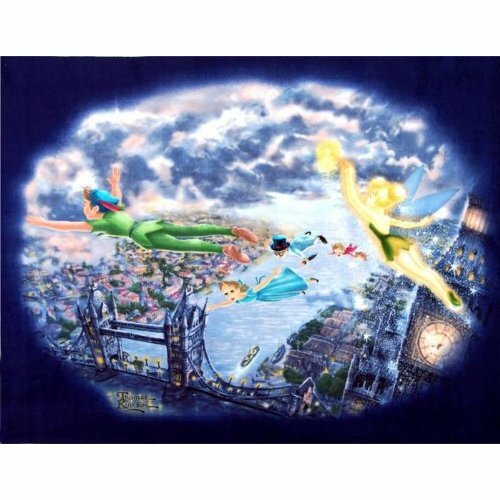 A wall hanging might be interesting…..
make the back with quotes from the movie or lyrics from you can fly on it? or…do a backing with different colors? that panel is amazing! oh! You could do the backing with a cloud or star fabric?